The trucking industry is rife with misperceptions about parts that make it difficult for fleet managers to be sure they are getting the parts they need. The world of aftermarket parts can be quite murky. The fact that the same part made by the same manufacturer can be available in several different boxes is just part of the problem. There also seems to be no standardization on what is meant by the various terms used to describe the type of part being purchased. All this makes it difficult for fleet managers to know which type of part — genuine, factory replacement, aftermarket replacement, will-fit, private label, all makes, white box, rebuilt, or remanufactured — is best for a truck at various points in its life cycle. Myths and misconceptions about parts options abound in the aftermarket. Here’s a look at some of the more common ones. 1. All parts are created equal.“Just because a truck part looks the same as a genuine part does not mean it’s the same quality,” says Amy Kartch, director of North American Vehicle Group Aftermarket, Eaton. “Fit and functionality cannot replace the years of testing, engineering and system level understanding that goes into genuine parts.” She adds that the differences between the various types of parts comes down to the specifications they are built to and whether the part manufacturer understands the application that part will be operating in. 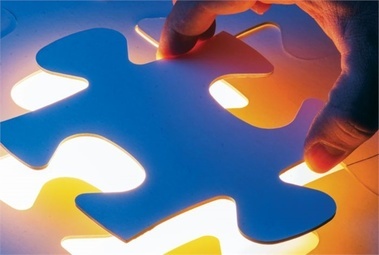 Consistency and after sales support are two distinguishing factors. 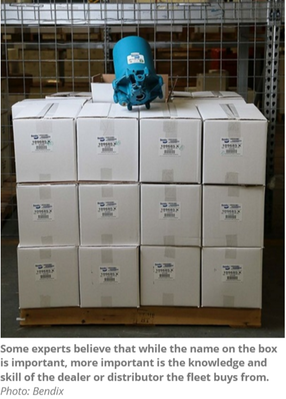 After-sale support of the part — including warranty, available training, available technical support and documentation and whether the part manufacturer has product specific experts — is a critical differentiator. 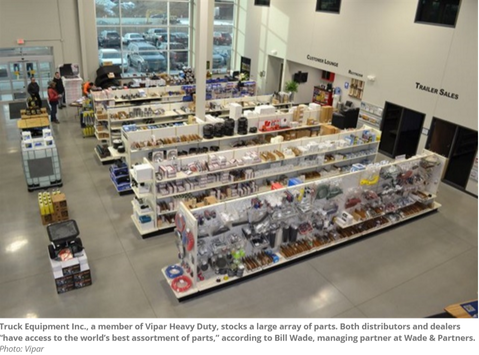 Jim Pennig, vice president of business development for Vipar Heavy Duty, explains that manufacturers of branded parts have invested a lot in the product they sell, including more field support, marketing support, research and development, engineering, and training. Rob Speed, president of aftermarket and trailers and chief procurement officer for Meritor, contends that “OEM manufacturers create tolerances and specifications to ensure longevity and performance of their parts.” Adjustments, no matter how small, will reduce the cost of manufacturing and the price the fleet pays – but also can affect the performance of the product. “Value line” parts may not have the same kind of quality control, the same number of inspections, and may not be made of the same material, according to Bill Wade, managing partner of Wade & Partners, a consulting firm serving the used and aftermarket truck parts market. He says there is a danger in choosing parts solely based on price. “When we need replacement parts for our tractors due to accidental damage, we only consider OEM proprietary parts for the chassis, body and interior of the truck.” He explains that is not solely because of the requirements of his fleet’s fair market value leasing program. “It’s also because we know we will get more value and better performance out of those parts and our trucks when repairs are completed,” he adds. Jerry Conroy, North American vice president, aftermarket sales, Bendix Commercial Vehicle systems, notes that repair time needs to be a factor when selecting a replacement part. If a technician is going to spend hours replacing a part, the fleet manager probably does not want him to have to replace it again in a month. In addition, choosing the wrong type of part could result in premature failure, an on-road failure and another trip to the shop. “We all know that what one failure can cost in terms of impact,” Eaton’s Kartch says. 3. The age of the vehicle is the only factor to consider.Just as with the price of the product, the age of the truck should not be the sole determinant in what type of part to use in a repair. 4. The name on the box is what’s really important. Wade contends that the name on the box is secondary to who the fleet is buying that part from. “It is up to the dealer or distributor to do the due diligence as to where the part comes from, the quality of the part and everything else. I do not think the fleet manager should have to do this. 5. There is a minimum standard for truck parts sold in North America. “For many of the parts being imported and sold, there may or may not be any testing to ensure the safe operation of those products in the truck owner’s vehicles,” Speed says. Bendix’s Conroy notes, for instance, that there is no criteria from an aftermarket perspective for what friction material needs to do or what requirements it has to have. “You can grind up cashews, mold it and put it on a brake shoe and that can be your friction material,” he says. 6. A fleet can be its own sourcing manager. The Internet has made it easy for fleet owners to find truck parts, but that may not be the best avenue for parts procurement, Speed says. “Many [fleet managers] think they can go online and order truck parts from low-cost countries and then just plug and play the parts into vehicles. Where is the testing and validation? What happens if something goes wrong? Saving a dollar today is not worth risking someone’s life tomorrow,” Speed cautions. 7. Parts must be obtained and replaced at the dealer. Pennig says fleets don’t always realize that a part is available through aftermarket distribution and that the product is often the same, just as good, or even better than what is available through the OE dealer channel. 8. Rebuilt and remanufactured parts are the same thing. Tim Shaw, national sales and product manager, remanufacturing, at Haldex, says there is a big difference between rebuilt and remanufactured. A rebuilder takes a component and fixes what is wrong, replacing damaged parts. The fleet might get back the same core part it brought in. 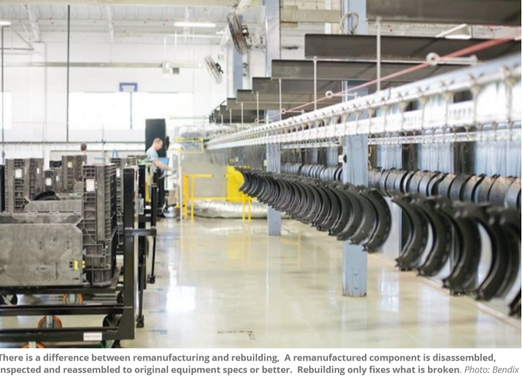 “With remanufacturing, the component is completely taken apart and different parts of it go to different sections of a manufacturing facility. Each part has to stand on its own merit,” he says. Each piece of the component is inspected to make sure it is suitable for remanufacturing. The fleet does not get back the core part.